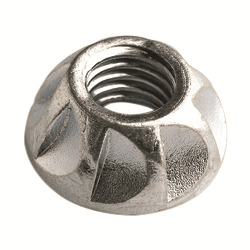 Unique, high torque security nut (patented product). Superior alternative to shear nut, having the advantages of not being governed by the shear point and not leaving unplated surfaces. Can be re-torqued if required. Requires matching socket for installation. Manufactured in galvanized steel, also available in zinc plated and stainless steel.